Poppy and Mommy giveded me a new toy and it’s SO FUN! Tipper tried to play in it, but I jumped on him and kicked his face off! 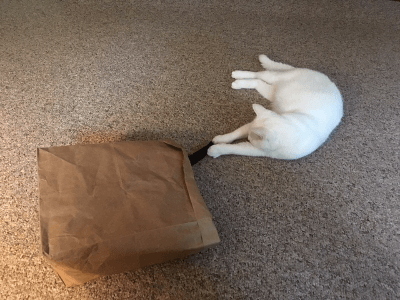 Tipper: She tried to. 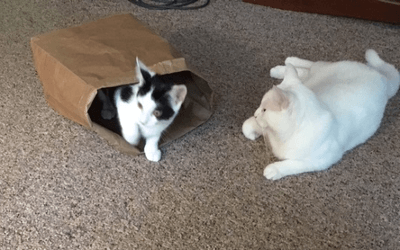 Not sharing is bad-cat, Chickie. I share all my toys. But I get to play wif it first! You played wif all your toys before I got here. When I’m done playing wif dis first, den you can play wif it. Tipper: I’ll just wait until you pounce on it until you squash it flat, and then I’ll lounge on it. I don’t see Tipper anywhere. Nobody can see me now. Hehe! I’m getting bigger bigger! I’m so big a girl, I can just barely fit on my castle anymores. Look how big I am! See me all hanging all over the side? SO BIG! Tipper: You’re stretching, not hanging over. YES, I AM TOO HANGING AND NOT STRETCHING! POPPY! TELL HIM! Tipper: Poppa doesn’t speak cat. Only Momma speaks cat. Poppa just thinks you’re always being cuu-uute. 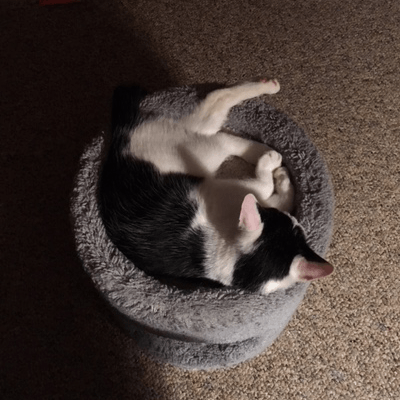 A WRITING PROPT PROMPT FOR ANIMALS: Are you getting bigger, or are you all done biggering? 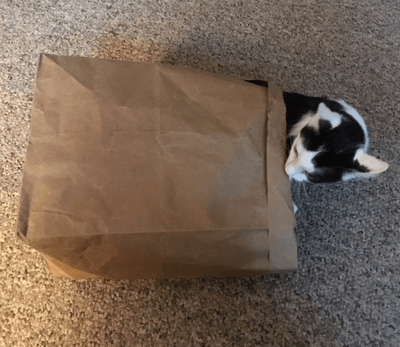 Plastic straws, paper bags and various packing material – and yet the cat toy industry is raking in billions per year. Mostly from me. That packing material and those empty boxes have to come from somewhere. 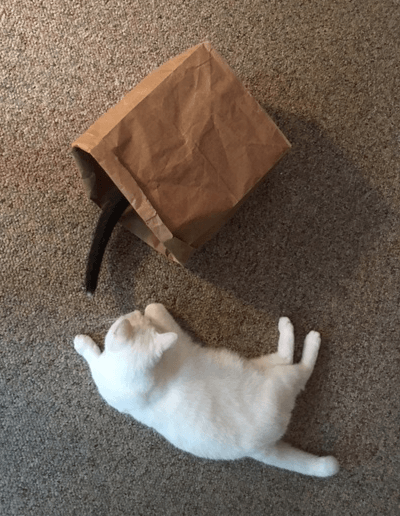 Paper bag happiness! So cute! She is definitely hanging over the edge.